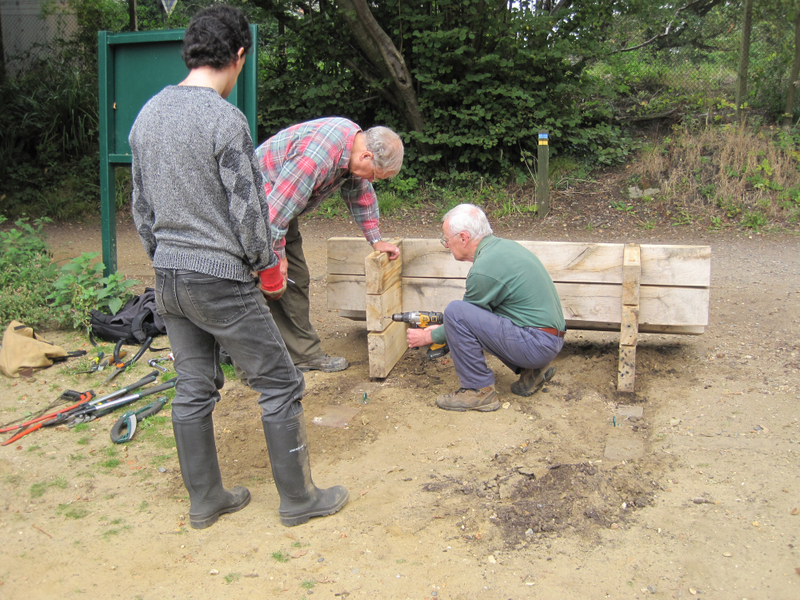 There will be a volunteer event this Sunday, 2 November at Fleet Pond. The next Sunday volunteer event will be on the 14th December 2014. To get a flavour of activities, photos from previous events can be found here. The fascinating history of Fleet railway station is on display in the town’s library. Staged by Fleet and Crookham Local History Group, the display of pictures includes one of troops on the platform on their way to the Boer War in 1899. There is also a set of photographs taken during the recent demolition and rebuilding of the new-look station. See also a previous blog post (from which the picture above is taken), especially the last two sentences! The original station was named Fleetpond and located on the west of the current Fleet Road Bridge across the railway. However, the amount of traffic at the station was so little that in 1858 there was a proposal to abolish the station completely although this never happened. In 1854 the War Department had purchased Fleet Pond and much of the surrounding area as a training ground. A successful temporary training camp on nearby Chobham common in 1853, just prior to the Crimea War (1854-56) had led to the army looking for a permanent training site in the area. In 1897 the LSWR purchased a further area of land from the War Department to allow the widening of the line, construct the new station and a goods yard. 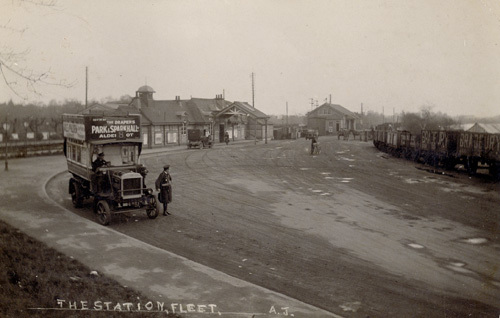 The new station at Fleet came into use in 1904. At the time the population in Fleet had grown to about 2,000 and the first local council had been formed in the same year. The council, generally formed of local businessmen appeared to have some regard to maintaining the rural nature of the area. It is perhaps with some irony that when the LSWR applied to build a works at Fleet the request was refused. Instead the LSWR would build their works at Eastleigh; this would become one of the world’s most famous locomotive works. The Fleet station display is on the first floor of Fleet Library and runs until the end of November. Further details on the local history group (incl. future talks and how to join) can be found here. In case you’re not familiar with the local geography, a map that illustrates the near proximity of the station to Fleet Pond can be found here. It’s worth noting that the new station car park allows some impressive views of the Pond (see below). 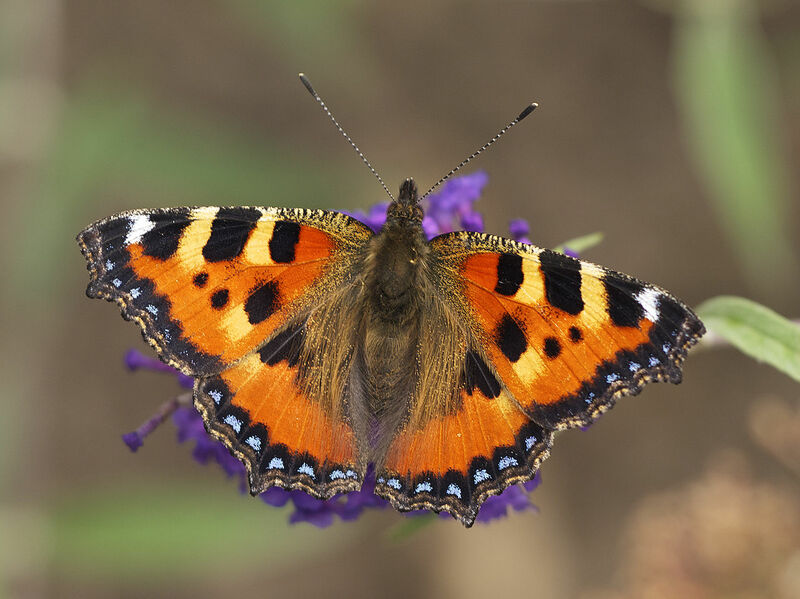 Peter Martin, who has written many interesting articles on the butterflies that can be seen at the Pond, has let us know that the Small Tortoiseshell has continued its 2013 recovery this year. In fact he has recorded its presence on 18 different days. Peter notes that, hopefully, the beautiful butterflies’ near-extinction by the parasitic fly, Sturmia bella, has now been reversed! Youngsters can explore the great outdoors by going on one of many countryside walks this autumn. Why not take the whole family along and stop off for a pub lunch to make it a great day out. We’ve compiled a list of popular child-friendly strolls across Surrey and north-east Hampshire. 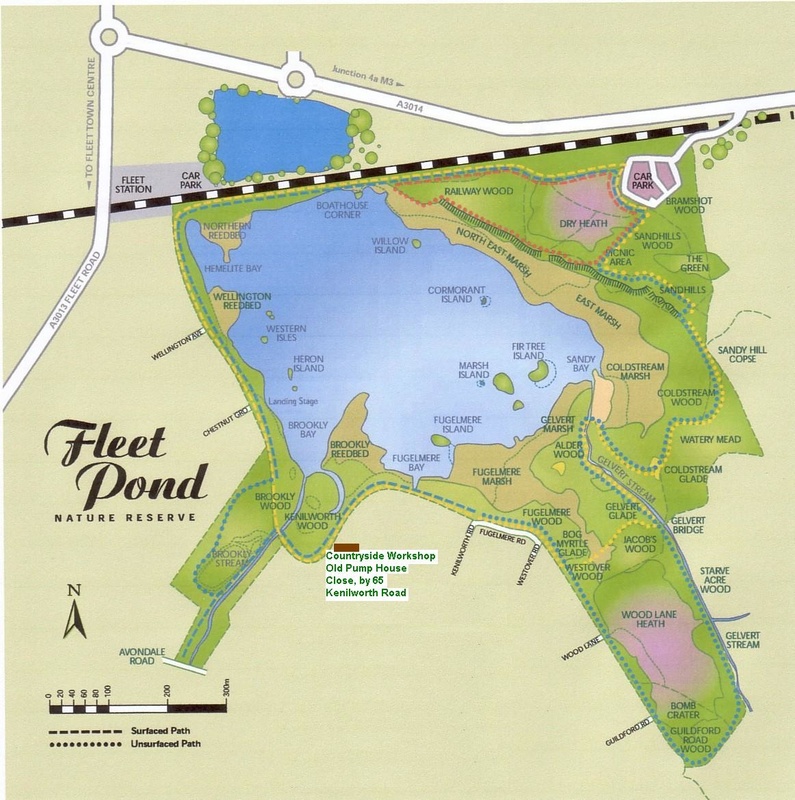 Fleet: 1km, 3km and 4km walks to choose from around the wildlife haven that is Fleet Pond off Cove Road, Fleet. Lunch stop: Heron on the Lake pub, Old Cove Road, Fleet, GU51 2RY. 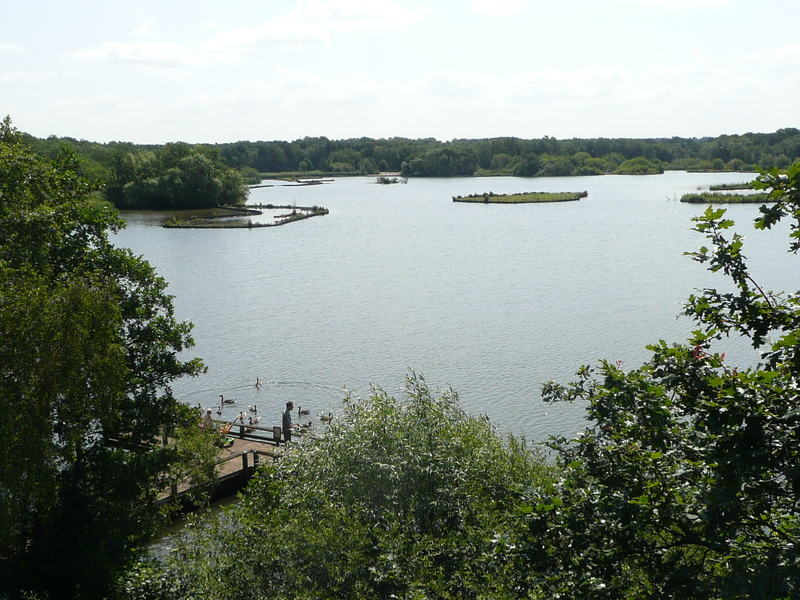 Details of the three walks around Fleet Pond can be found here and are illustrated in the map above. 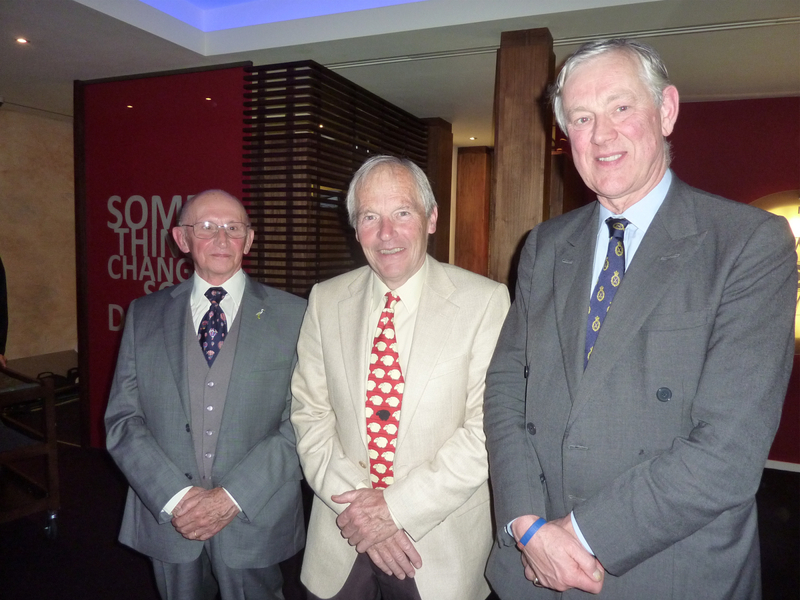 From left to right: Colin Gray (FPS Chairman), Terry Austin (FPS Deputy Chairman) and Jamie Balfour (High Sheriff of Hampshire). 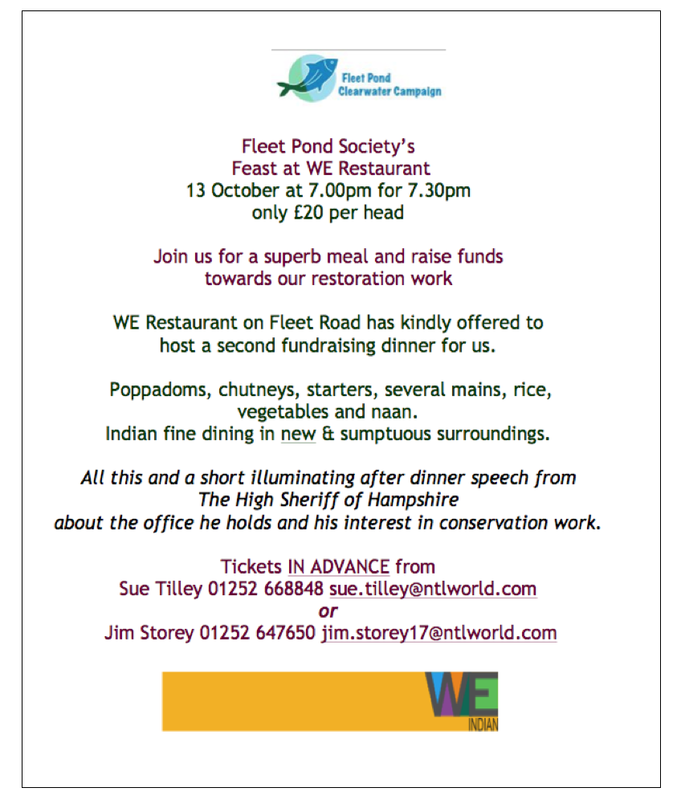 As seen in the poster below, there was a fund-raising feast organised by Fleet Pond Society (FPS) held in the WE restaurant in Fleet last Monday. “And what a feast we had! Lots of lovely food served by very friendly staff. Jamie Balfour, the current High Sheriff of Hampshire joined us and shared some of his wide experiences with us. We had 130 members, friends, local business people, councillors and Lions join us for the dinner. And weren’t they generous too! Our guests bought lots of raffle tickets and weren’t disappointed with their winnings. 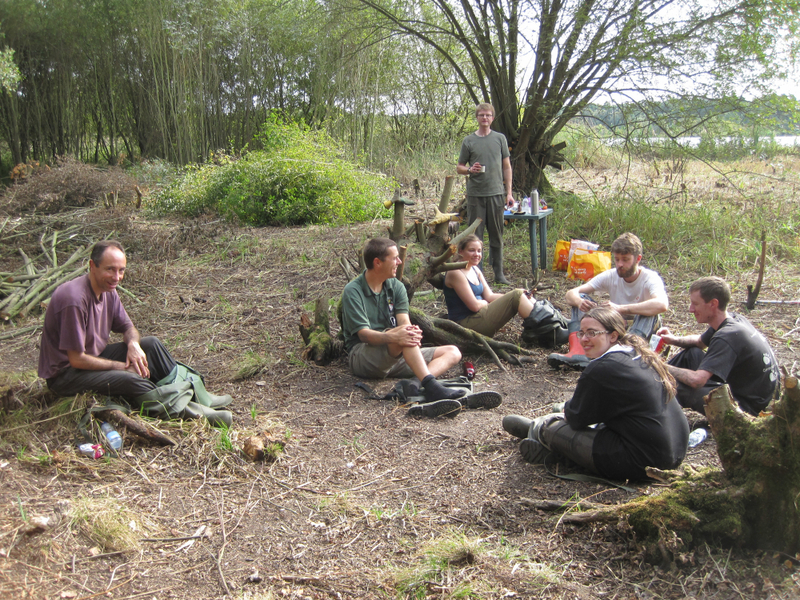 Many thanks to everyone who attended the meal for supporting FPS in it’s aim of helping maintain and improve Fleet Pond. 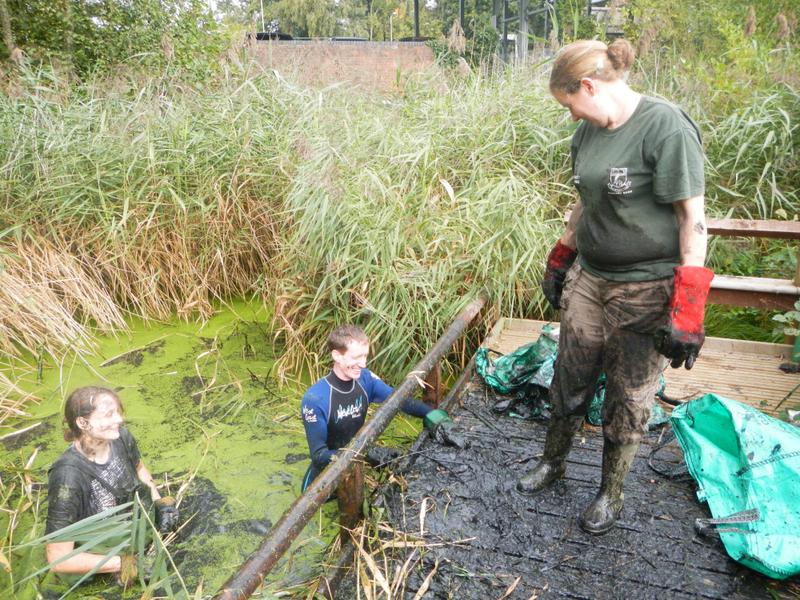 There will be a volunteer event this Sunday, 12 October at Fleet Pond. 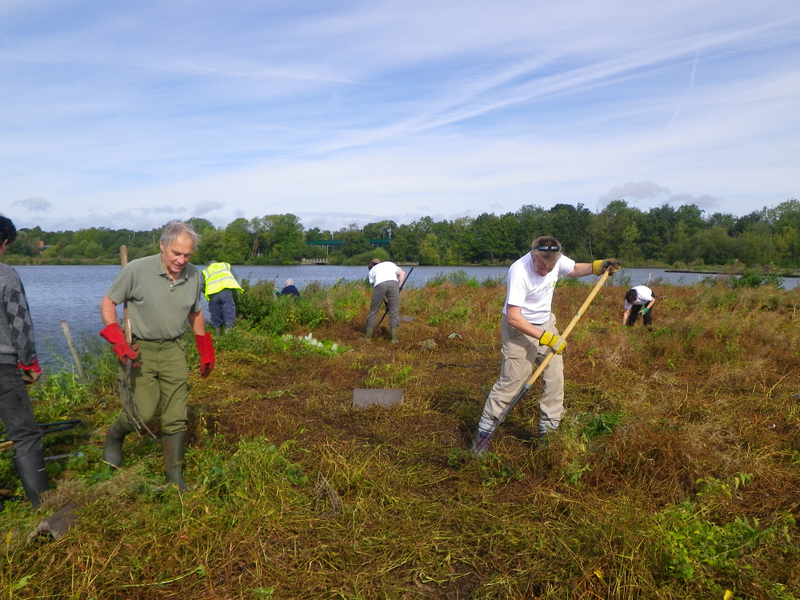 A wide variety of companies and volunteer groups visit Fleet Pond to carry out conservation activities. 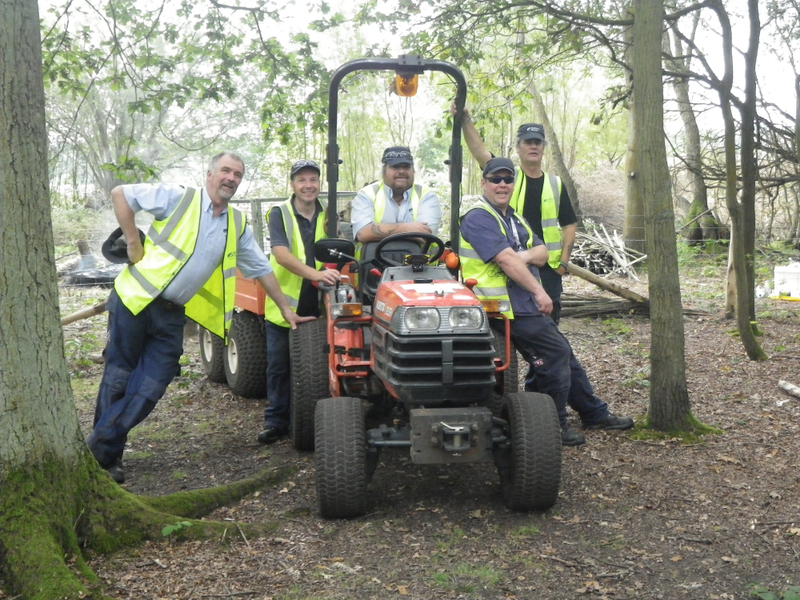 These tasks take place during the working week or on the weekend, depending on what is most practicable for the groups involved. The volunteer group known as the ‘Hedgehogs’ (who have connections with Southampton University) are regular annual visitors (see photos above and below). See also a previous post from 2013. 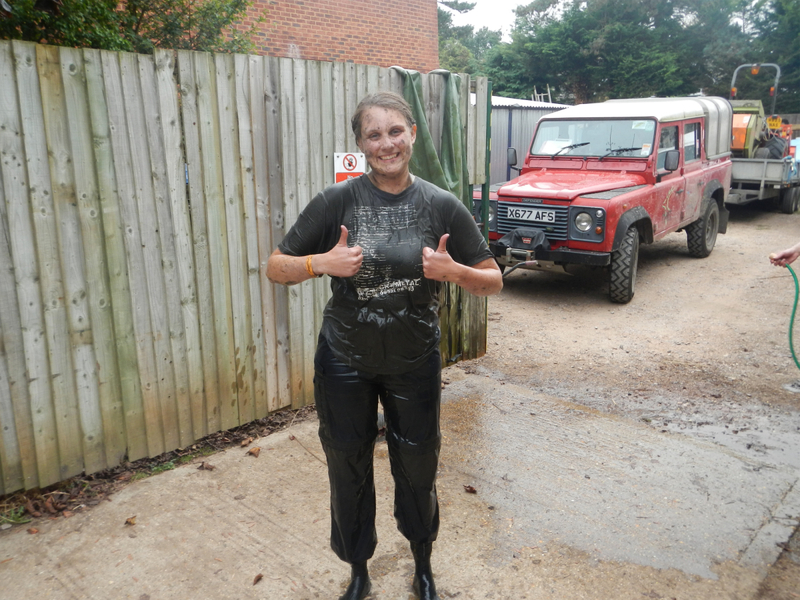 In case you’re thinking of getting involved in the future, I hasten to add that volunteer tasks are typically very straightforward and not at all mucky! The above photo illustrates the work carried out on Friday mornings by the Last of the Summer Wine team (see here and also here). The photos above and below provide examples of company events. You can read about volunteer activities carried out by SSE and Dimension Data here and here respectively. You are currently browsing the Fleet Pond Blog blog archives for October, 2014.